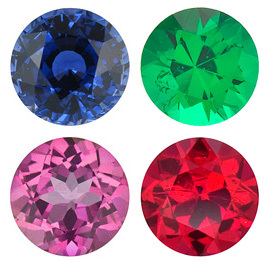 The shape that a gemstone will be cut largely depends on the shape of the rough stone, but one must also take the color, gemstone type as well as internal flaws into account when determining the optimal shape. 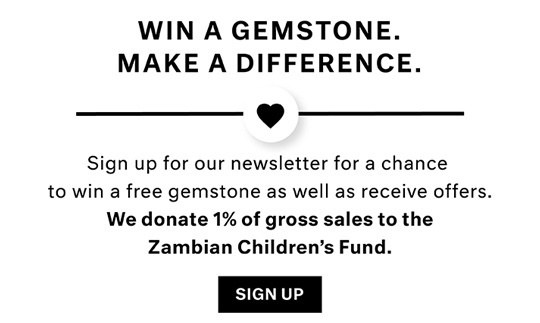 Faceting, which refers to the geometrical flat surfaces covering the gemstone, brings out the utmost brilliance and shine from each gemstone; each cut along the surface of the gem is a facet. 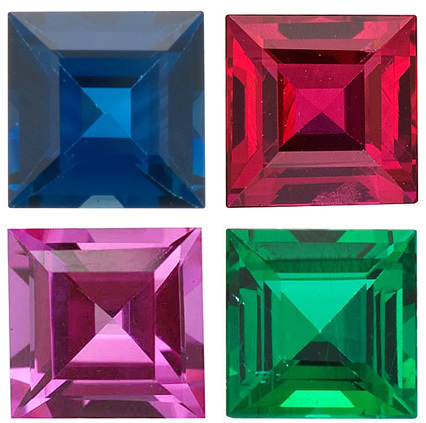 Today the facets are cut with machinery that shape and polish the gemstone. 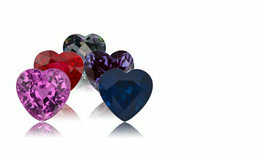 The first consideration when picking a loose gemstone shape is the piece of jewelry that you plan to set it in. 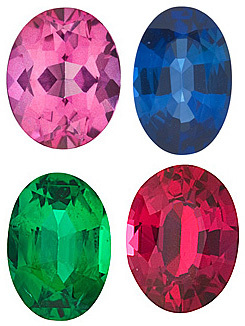 For example, in choosing a gemstone to be in the center of a ring it�s important to consider the woman�s hand shape. 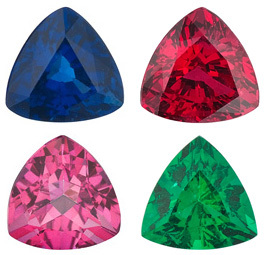 While a round cut is usually flattering to all hand types, oval and marquise shape are perfect for thin or tapered fingers and thicker fingers can usually wear princess and square cut stones very well. 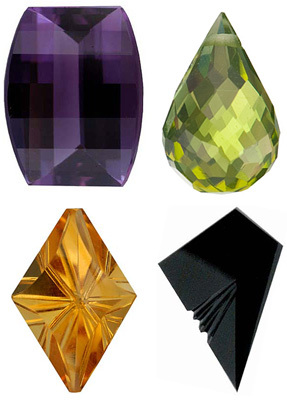 Pear and briolette shapes are great for earrings and pendants as they tend to elongate the jewelry and flatter the neckline and jaw line. 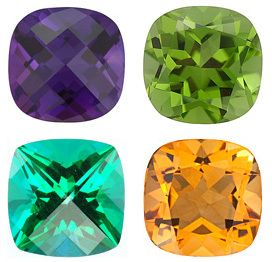 Most Round Cut stones contain 57 facets and are cut in the brilliant style which maximizes shine and brilliance. 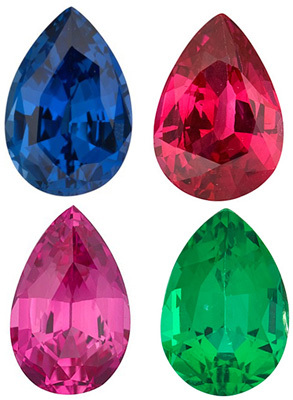 Oval Cut gemstones have a 2:1 length to width ratio and are cut into 69 facets; well cut Oval shaped gemstones boast an amazing shimmer and fire. 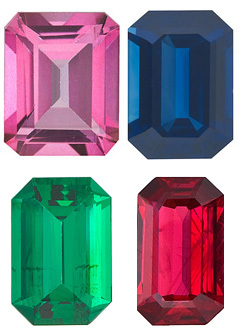 Emerald Cut can best be described as a rectangle with truncated corners and have 50 facets and sleek step style levels that show off colors to their fullest. 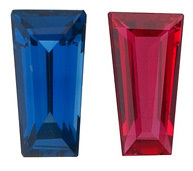 The difference between Princess Cut and Square Step Cut is manifold: Princess Cut stones have 76 facets and produce a tremendous amount of sparkle and luster; Step Cut gems have 57 facets and the leveled style resembles a low pyramid without a point, they represent balance and equanimity. 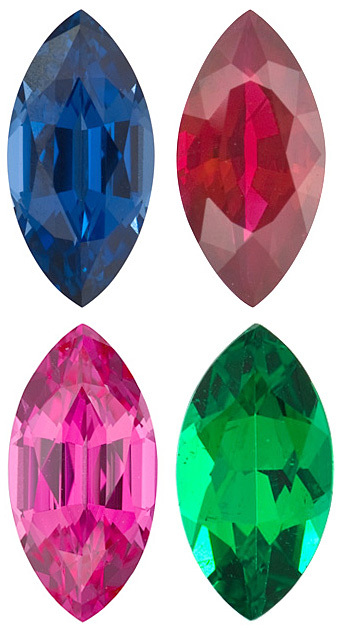 Pear Shape or teardrop shaped gems, combine the look of Oval Cut and Marquise Cut. 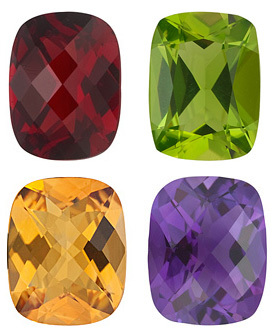 With 71 facets, the color of the gemstone is vividly expressed through the Pear Cut shape. 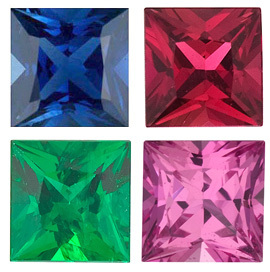 As you can see each shape has unique attributes that express the gemstone�s color and brilliance in a different way.